Mercury has moved into Virgo, where he’ll spend the next 2 + months. This is an unusually long stay in Virgo by Mercury, who can cover a whole sign in just over two weeks. Part of the reason for this is his upcoming retrograde, from August 29 – September 21. I talk in more detail about all the Mercury retrogrades of 2016 in this post. It’l also give each of us plenty of time to review, reorganise and improve the Virgo areas of our lives. Not sure? You need this report – or check the cheat sheet guide below. Mercury in Virgo (July 30 – October 7, 2016) brings out the best of Mercury’s eagle-eyed talents. This combination is about attention to detail, high level analytical and strategic thinking, as well as managing the many logistics of daily life. Mercury will also conjunct Jupiter in Virgo (August 21) and the North Node in Virgo (August 8). Those aspects are described in detail in this post, on August’s top 5 aspects. Mercury square Saturn is all about standards. In this past post on Mercury/Saturn aspects, I praise standards and talk about how valuable it is to have ways to measure the correctness of things. While it may be tedious to attend to specifics, that may be exactly the way forward under an aspect like this one. Rather than negotiate, it may pay to deliver as discussed, or to even point out where there may be room to improve. When Mercury in Virgo’s love of details combines with Saturn in Sagittarius’ commitment to the big picture, plans that actually create something solid can be discussed, improved and finalised. Mercury opposite Neptune can be problematic because Neptune creates an unclear, foggy vibe that tends to block facts. Details may get lost or your message may drift off into the ethers rather than arrive as intended. On the other hand, Mercury aspecting Neptune is great for creative and spiritual pursuits, as well as getting in touch with your intuition. Take time to notice your energetic or felt response to events, rather than obsessing about efficiency regarding your work and other goals. Mercury trine Pluto arouses a detailed, intense, and probing energy that will help you dig for hidden details. You might hit upon a core truth or idea. True motivations may be revealed, and it’s definitely a window of time in which speaking from the heart will be important, especially in your most intimate partnerships. What’s your Virgo house? 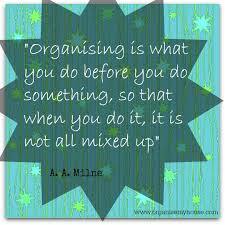 Are you ready to get organised in that area of life? This entry was posted in Astrological Highlight and tagged mercury, Virgo. Bookmark the permalink.